CivilWar.com is divided into categories. Each category subdivides into sub-categories to bring the information to you with a minimal number of clicks and browsing, in a logical, concise manner. The Overview is designed to present a quick look at the war in general. The causes of the war, a summary of the war, a look at the life of a soldier and the timeline of events are the primary content here. More in depth information may be found in the other categories. CivilWar.com is brought to you by Premier Internet, Inc., a for profit business that has been providing Internet Services since early 1995. The domain CivilWar.com was registered by Premier as one it’s first domains. 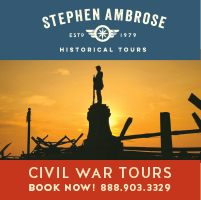 Simply put, the owners have always held a fascination with the American Civil War and registered the name because they wanted to create a virtual monument to the Civil War. 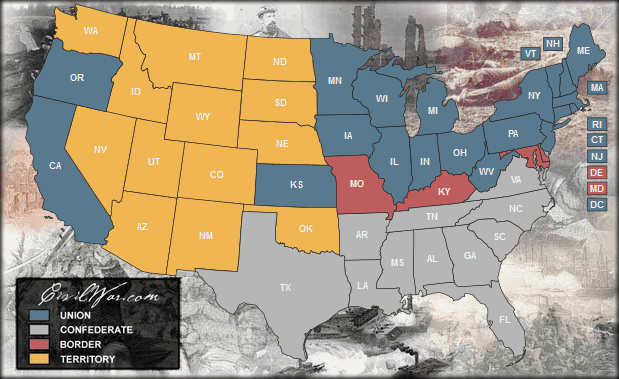 Despite in house military and teaching experience as well as talented programmers and designers, Premier recognized a need to involve others in CivilWar.com to best present the resources of the American Civil War. To further this effort this site will be receiving input from an Advisory Committee, comprised of College Professors, Librarians, Historians, Civil War Re-enactors, other Military Professionals and Secondary School Educators. You will also see advertising throughout CivilWar.com. We have to pay for the development of this site. For over ten years Premier Internet was the sole sponsor of the site. There is, however, a mountain of information about the Civil War and we have, we think, many good ideas which require monetary support from the site to implement. The bandwidth alone is a sizeable monthly outlay. 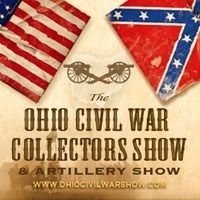 It is our desire to present the history of the Civil War accurately and in a compelling way which honors all Americans. 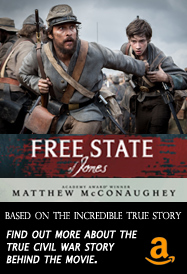 The documents linked provide an overview of Slavery in the United States prior to the Civil War. This is an overview of documents on the subject. For more detail on this topic, explore the section on Slavery from the Main Menu, as well as the Resources.